A little heavier than the Gildan 5000.This style has the widest selection of colors and is one of our most popular basic tees. 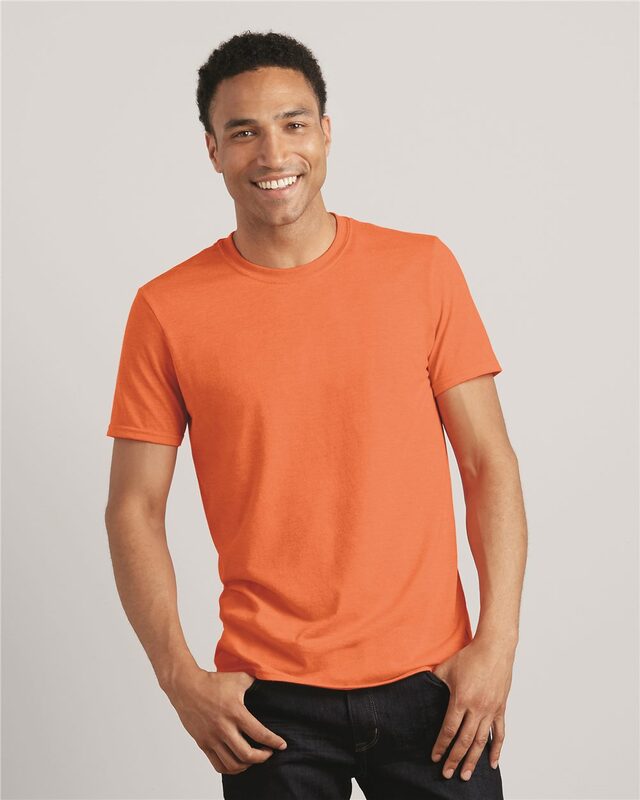 Softer fabric and popular among clients looking for a soft standard fit basic tee. Extremely soft with a blended heather look.